Jacob Randolph hat mit Breakfast Cult ein Rollenspiel mit Fate-Accelerated-Regeln geschrieben das sich um den Schulalltag und das Ende aller Tage dreht (was so ziemlich das selbe sein kann). From the author of Inverse World Accelerated and Retrocausality! In the Weird Age of the late 21st century, the newly-discovered occult sciences are changing the world. If you want to learn them, Occultar Academy is the place to go. In this secluded island school, talented students from all over the world can learn sorcery and occultech under the Foundation’s watchful eye. But they won’t tell you everything. Occult science is great, but there are risks. Behind the scenes, in the Foundation labs beneath the school, they’re researching the dangerous secrets of outer science. The Forbidden Sections beneath the library hide secrets once lost to history, from forgotten occultech to the existence of the Ancient Ones. If the wrong person finds them, it could mean the end of the world. Breakfast Cult is a Fate Accelerated game about mystery, cosmic horror, and high school drama. 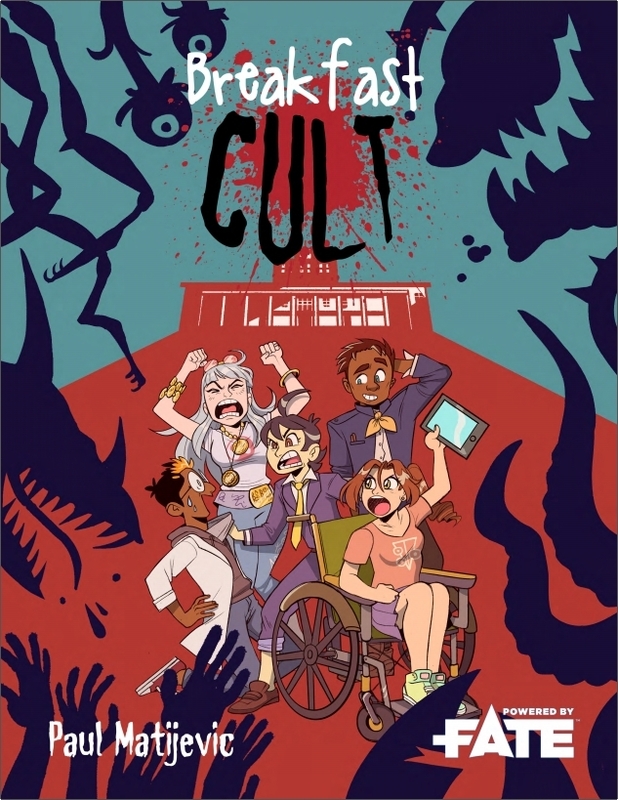 Play students at the world’s best occult school as they solve mysteries, uncover the terrible secrets of the Ancient Ones, and try to find which of their classmates is conspiring against them before it’s too late! 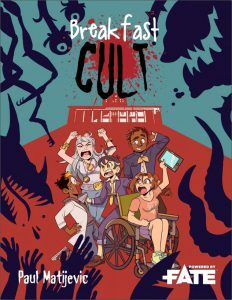 Der Beitrag Breakfast Cult erschien zuerst auf FateRpg.de. Zurück Vorheriger Beitrag: meisterperson: Truant translates Titansgrave … badly? Weiter Nächster Beitrag: Der Eskapodcast: Folge 39 – Beherrschst du „gutes Rollenspiel“?